Netball is arguably the most popular women’s sport in Australia, along with a number of other countries such as New Zealand and England. It is played by tens of thousands of women (and men) of all ages in clubs throughout the country. Although competitive netball growth has stalled somewhat, participation is rising at a very rapid rate due to the development of new formats such as mixed and social netball. The rise of these new formats has allowed thousands of people who perhaps wouldn’t have otherwise joined a club to benefit from the physical and mental positives associated with playing a team sport. 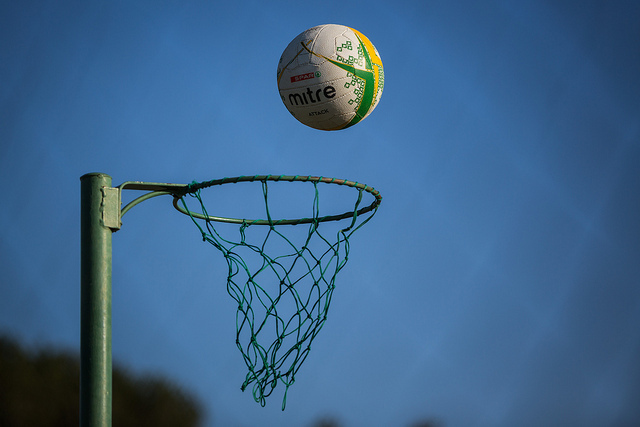 The development of mixed and social netball has also seen an influx of new players who have little to no netball skills. It is therefore important, as either a coach or a player, to understand how you can improve your netball skills and techniques. Goal shooting is probably the most important skill for over a quarter of a netball team. If you play as either a goal shooter or a goal attack, then you need to be able to score regularly and consistently. The best way to do this is to practice shooting. However, the old saying applies – “perfect practice makes perfect”. There is no point practicing a bad technique, or you simply won’t improve. Below are our top tips for improving and developing a flawless netball shooting technique. Implementing one or more of these into your training routine should help you see regular and consistent improvement in your game. If you are really serious about improving your netball shooting technique, then you should consider professional coaching. One or two sessions with a decent coach is a very good start, especially if you have never been taught to shoot properly. Learning the right techniques on your own can be extremely difficult. However, learning the right techniques with the help of a good coach is actually very easy. Paying for a couple of hours of high level coaching at the start of your training can give you a very good technical starting point. After this it all comes down to regular, high quality practice. This concept applies to almost every sport. Generally, when shooting for a goal, you want to move everything in the direction that you want the ball to go. Don’t try and twist your body and shoot sideways, even if only slightly, as this will decrease your shooting accuracy. Instead, face the ring front on, line up your shoulders square to the ring, shoot straight towards the ring, and follow through with your arm moving straight towards where you want the ball to go. Doing this will almost guarantee that the ball moves towards the netball ring. Once you have mastered this, all you have to worry about is the length of your shot. Games are for gaining confidence and having fun. When you are playing, it is important not to think too much about the mechanics of your shot. Do all of your technical practice at training, and just worry about getting the ball in during games. Sure, your technique might not be perfect during games, but it is important to practice without overthinking so that you can get a feel for the ball and become confident with your ability. Trying to be technically perfect during games simply doesn’t work – you don’t have the time to concentrate on every little thing you are doing before you shoot. If you are really serious about developing your netball shooting technique, then you can still use games as a good learning tool. Instead of worrying about your technique during games, ask a friend or family member to film you play. Once the game has finished you can then take this footage and analyse it to help you improve your shooting. Identify flaws in your technique and work on them at training during the week. Film yourself playing again, and compare your previous technique to your new technique to monitor your progress. Although a lot of netball players probably don’t realise it, mental preparation and training are almost as important as physical training. Getting into the right headspace is extremely important, as it allows you to concentrate on your shots, focus on your technique, and improves your chances of scoring regularly. There are a variety of mental techniques that you can use to focus and channel your mind before a game. If you respond well to music, then consider listening to some of your favourite artists pre-game. Go for songs which help put you in the zone. Practice positive mental imagery, meditate and train to improve your self-confidence, and do whatever you can do put yourself in the right mindset before every game. Make sure that you concentrate particularly hard on eliminating negative thoughts while you are on the court. If there is one mantra that you should live by when training, this is it. Practising a poor technique won’t help you improve your shooting – all it will do is increase your chance of using this poor technique during games and in high pressure situations. Instead, focus on using the best technique that you can whenever you train. By all means, practise shooting as often as possible, but always try and practise with the right technique. Failing to do so will just stunt your improvement. So, get out there and train! If you are serious about taking your netball game to the next level, make a point of improving your shooting technique and scoring numbers. If you are able to sink a higher percentage of your shots, you immediately become more valuable to your team, and have a better chance of playing in a better grade. Good luck, have fun, and remember – perfect practice makes perfect!